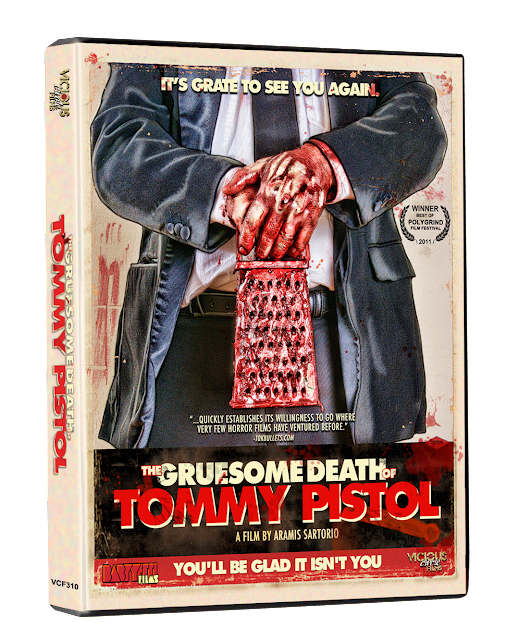 Check out the cover art and trailer for THE GRUESOME DEATH OF TOMMY PISTOL in all of its cheese grater, grotesque goodness! This looks like some old school horror-comedy fun coming our way in March! 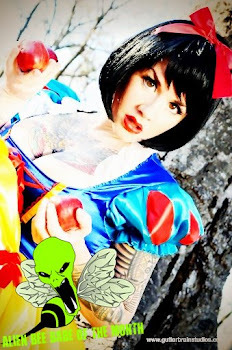 10KBullets applauded its “willingness to go where very few horror films have gone before.” “Gruesome Death” has captivated viewers and made top horror films lists for 2011 as well as being named Best of the 2011 Pollygrind Film Festival. The DVD release will come crammed with Special Features including director’s commentary, interviews with cast and crew, behind-the-scenes footage, a featurette of the first sketch comedy troupe from Queens, the “DJ Tommy Pistol” music video and “It Ate His Face” music video trailer, and a special featurette showcasing director Aramis Sartorio’s heavy metal band “Amorea”!